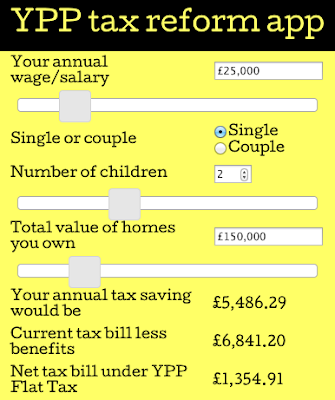 See below for a link to a calculator based on 2015-16 rates and allowances which enables you to compare the total tax paid or borne by a household with mainly employment income under current rules, with how much they would be paying with a flat LVT/flat income tax. The total revenues raised with either system would be pretty much the same - and seeing as the UK government has been getting its sums wrong by £100 billion a year for several years, let's not bicker about a couple of percentage points here or there. 1. The sheet includes Working and Child Tax Credits and Child Benefit. It ignores out-of-work benefits (ESA, Income support etc) because those would be replaced £ for £ with the Citizen's Income, with separate top-ups for disability. 2. The PAYE calculator is a simplified method that comes to within a few pounds of the 'correct' figure according to HMRC tables. Neither figure is really 'correct' as they both assume earnings accrue absolutely evenly throughout the year. - Employer's National Insurance Contributions, which depress wages by a similar amount. - VAT calculated as 10% of household income (£95 billion VAT divided by £950 billion). It might be more accurate to calculate this as a 15% of earned income (i.e. £95 billion divided by £600 billion). - Council Tax, TV licence fee, Stamp Duty Land Tax etc, which currently raise £52 billion. The total value of UK housing at present (2014) is approx. £5,800 billion. Some of these taxes are progressive and some regressive, but it averages out and each household's annualised lifetime tax bill approx. 0.9% of the value of the home they occupy. 4. The calculator applies to best to owner-occupiers who are unaffected by current rent levels. As to "landlords passing on the tax to tenants", if we assume that landlords increase their rents by the amount of the tax, the saving to tenant households would be exactly the same. If rents were capped at current levels, then tenants would save considerably more. This is slightly confusing to me. Is the annual tax saving the amount by which a taxpayer would be bette off - or is it the net tax bill? 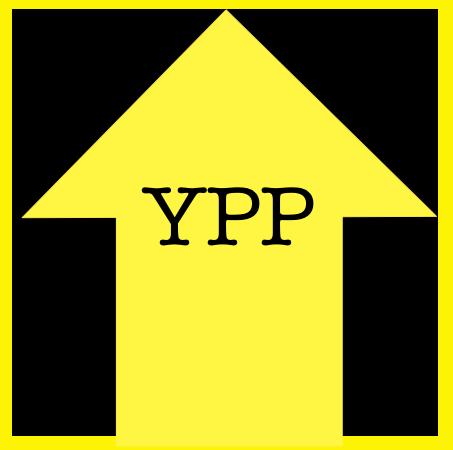 Net tax bill under YPP flat tax = what it would be if we had the YPP flat LVT/flat income tax system. I've inputted my figures, which implied that i'd be ok buying a house worth 600k on the logic that id have more take home pay, wouldn't this simply increase the property bubble further. Currently i'd struggle to secure a mortgage on 2 bed flat around 300k. U, yes, it is a dynamic thing. Higher earners will more easily be able to buy more expensive homes; lower earners (i.e. Baby Boomers in semi-retirement) will be eased out of more expensive homes. I assume that the two effects largely cancel out. Quite possibly they don't, but nobody is going to try full-on LVT overnight, you do it over five or ten or fifteen years and keep tweaking things to ensure there are more winners than losers at each stage. Thanks Mark, I'm writing/researching on LVT for my dissertation @UCL. Currently in the Lit review stage. I was wondering if you'd be open to a conversation on the topic in a few weeks time?